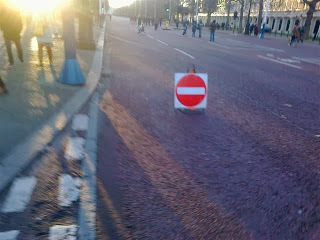 In March 2012 I started an intermittent dialogue with the Royal Parks concerning the Mall's closure on Sunday and the absence of signage to say that cycling is permitted. It's worth scanning the email exchanges here if you haven't followed the saga to date. 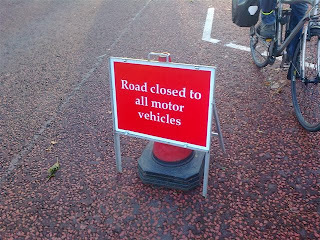 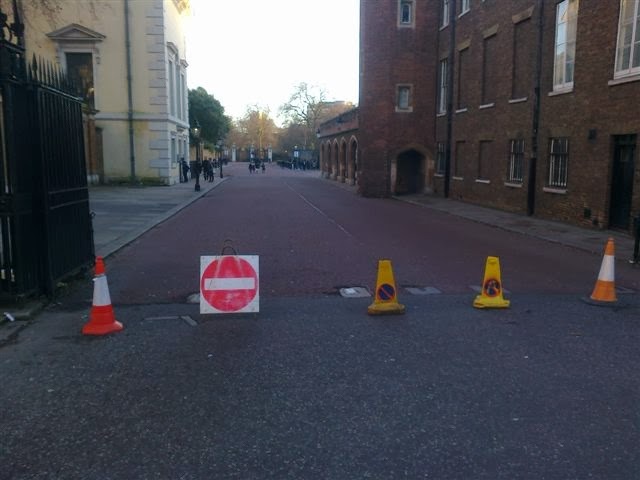 and I'm willing to bet nothing has been amended at the Buckingham Gate or Hyde Park Corner road closures. 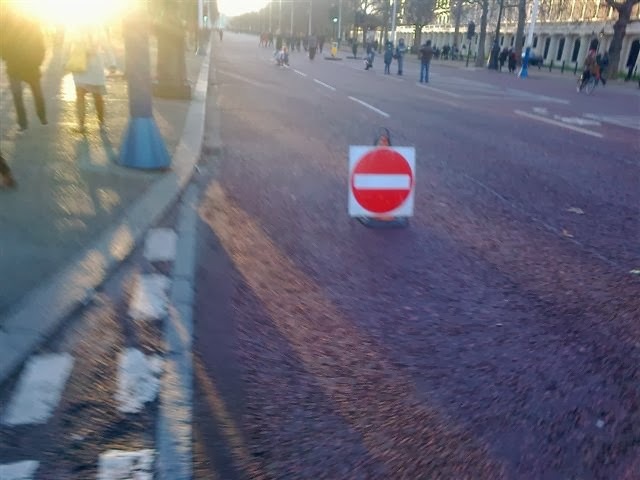 Happy New Year to the Royal Parks, trying as always.